What Is Normal Behavior In Kids? Tommy is uncontrollably loud. He is stubborn and answers back rudely every time his mother says something. Sheila back-talks to her mom even in public. It is a nightmare every time Jenny takes her seven-year-old son, Mike, out to a friend’s house or for a play date. He gets excited and helps himself to anything and everything he ‘likes’ without asking. Sounds familiar to you? We are talking about the many behavior issues in children that parents have to deal with every day. MomJunction understands parents’ predicament when their children misbehave. To make life a tad bit easy, we give you information about the common child behavior problems, how you can identify them and resolve them. But before that, don’t you think we need to know what normal behavior is? There is no yardstick for normal behavior. It depends on a child’s age, personality, emotional development and environment of upbringing. In general, a kid’s behavior is deemed to be normal if it is socially, developmentally and culturally appropriate. 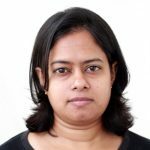 You can consider a child’s behavior normal even if it does not meet the societal or cultural expectations, but is otherwise age-appropriate and not harmful. How do you differentiate a misbehaving child from a normal one? Children are cute when naughty. A few tantrums, arguments, and yelling once in a while is not abnormal. But if such behavior becomes a daily occurrence, then it is a cause for concern. Here are some signs that indicate that your child’s behavior is abnormal. Your child seems to have difficulty managing his emotions. He has frequent emotional outbursts and minor things bother him. It is not normal if your eight-year-old girl or boy becomes impulsive. They may display destructive behavior like hitting, throwing things, screaming, etc. Your otherwise talkative child withdraws into a shell, talks back and seems rude for no reason. Your little boy maybe lying more often than you realized. Stealing or taking things that do not belong to them becomes a habit. Your child’s behavior is affecting his performance at school. For example, your kid may be getting into fights, going late to class or missing classes. 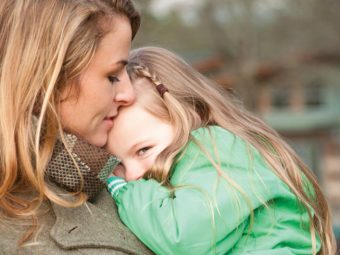 Spats and disagreements that your seven-year-old girl has with peers become problems that affect her social life. That is not normal. Unable to focus on one thing, gets restless, extremely lazy or disoriented. Indulges in sexual behaviors that are not age appropriate. Your child starts questioning your instructions and does not respond to discipline. He may defy rules just to challenge you. It is not normal for children to harm themselves or even think about self-harm. So, if they are harming themselves physically and having suicidal tendencies, you should be worried. It is important to note that the rational part of the brain is not yet developed in children under 3 and are, therefore, driven by their emotions. As they grow older, rationality improves but they still need support from us in managing their emotions. This is normal. Also, minor abnormal behaviors can be corrected through behavior therapy and change in parenting styles. What are such behavior disorders in children which can be dealt with some effort? It is common for children to break the rules and go against the norm to ‘test’ authority. Only that way do they understand what behavior is appropriate and what is not. Read on to learn about the behaviors that kids tend to exhibit from time to time and how you can handle a child with behavior problems. When your three-year-old daughter talks back to you, it may seem funny and adorable. But when your seven-year-old girl shouts out a ‘no’ every time you tell her to do something, it can get on your nerves. If not handled properly, backtalk can lead to arguments between parents and children. Set limits and make them aware of the consequences. Do not threaten, just state plain facts that if they talk back, they won’t get ice cream or go to the movie. For example, tell them if they continue to yell and shout, then they will have to forgo the dinner. However, if they stop shouting and listen to you, then they will get something nice for the dinner. Such give-and-take will look less controlling but giving the option to the child themselves. Children scream and yell when they are angry. But if they start swearing even before they are all of ten years old, you should be worried. They may start yelling or using abusive language to bring you into an argument or simply to get their way. When your child uses offensive language and swears, here is what you should do. Make sure you are not using such language in front of kids. Have zero tolerance for verbal abuse at home. There is no excuse for swearing or cursing. So if they use such language, there is a consequence. Explain the consequences clearly and ensure they are in place. So if your nine-year-old girl is grounded for one day for abusive language, she will have to miss her soccer practice or music class. There should be no two ways about it. If your toddler is using such language, correct them immediately. Tell them it is a “bad word” and people do not like that word or kids who use that word. If you have used that word in front of your child, apologize immediately. You can even ask your child to remind you that it is a bad word, should you ever say it in front of him. It is okay for children to get angry. But if that anger becomes violent or turns into aggressive behavior in children it is a problem. Mood disorders, psychosis, conduct disorder, trauma, impulsiveness or frustration can cause aggression in young children. At times, your child may resort to violence for self-defense. Aggression can also be a learned behavior. How is the environment at home? Or is the child learning to be violent, at school? If your child tends to react to a negative response by hitting, biting or kicking, this is what you should do. 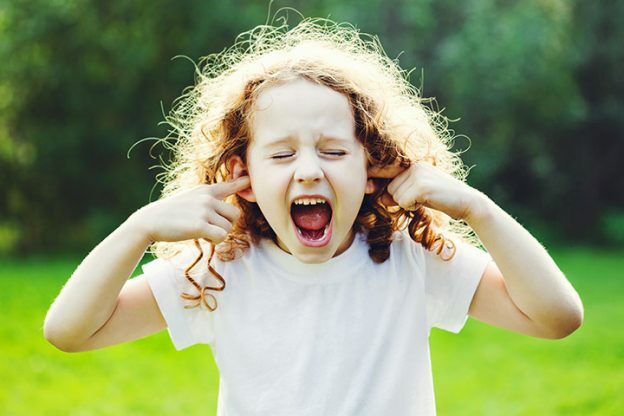 The easiest way to respond to aggression in children is to yell back at them. But if you do so, you end up teaching them the wrong things. Your kids look up to you to learn how to control their impulses and emotions. So rather than raising your voice, lower your tone and tell them to calm down. Tell them what the consequences would be if they turn violent. If you are dealing with a younger child, tell them what they can do instead. Give them an alternative, but don’t leave them hanging. For instance, teach them to use words and phrases like “I’m angry,” or “I don’t like it,” or“I’m not happy about it” when they are upset, instead of resorting to physical violence. Most importantly, be a good role model and avoid giving them physical punishment. Also, reward positive, non-aggressive behavior. It is common for children to lie. It is also common for parents to worry when they catch the kids lying. You may feel betrayed, hurt and even wonder if you can trust the child again. But here is what you should do to prevent your kid from lying. Bullying is a serious problem and could result in emotional and physical abuse of the victim. Children tend to bully others to feel powerful. Also, bullying resolves their social problems easily. When dealing with feelings becomes difficult, kids tend to take on bullying to fix things. If you find that your child has been bullying others, you should act immediately. Set rules and standards in the house early on. Make a statement like “we do not bully in this house” or “You do not get away with such behavior in this house”. Watch out for signs of bullying: see if your older kids are trying to bully the younger ones, and rectify the behavior immediately. Manipulation is tricky and a very exhausting behavior to handle. Children tend to act out, lie, or cry to get what they want. If you give in to the bad behavior in children, your child feels justified. For example, if your child throws a tantrum in public for a candy bar and you buy her one, she has just manipulated you. In simple words, when your child manipulates you, she has power over you. As an adult, you can always break the pattern and stop falling for your child’s manipulative behavior. Expect your child to fight every time you say ‘no’. That way, you can figure out how to deal with their behavior and not fall for manipulation. Make it clear that when you say ‘no’, it means no. You can give them a brief explanation of your position, but don’t get into justifying it. Avoid discussion, but don’t shut them off completely. Try to listen to their side of the argument as long as the child is respectful and not rude or abusive. Your child doesn’t seem interested in doing anything at all. Be it schoolwork, art or music practice or even playing, he refuses to participate. Motivating kids is not easy, especially if they are lazy and tend to find an excuse for not doing anything. When your son or daughter is unmotivated, here is how you can help. Encourage younger children to take up daily chores by making them fun. You may set a competition of who picks up the most number of toys or bits of paper from the floor or who makes their bed first. For older children, making them responsible for tasks such as washing the dishes, setting the table or cleaning up to set the expectations clear. Set limits like we will watch a movie once you have finished your chore. “I hate school!” Is that something you hear your five-year-old say every morning? Kids often give parents a hard time by refusing to go to school or complete homework assignments in time. Children could refuse to go to school for many reasons: bullying, academic issues, resistance to authority and rules, or anxiety of being separated from parents. Start by getting to the root of the issue. Find out why your child hates school or refuses to do his homework. You may want to help him with his homework if he has trouble with it. Your child may take time to perform academically and be okay with school. Understand that the change will not happen overnight. Offer incentives, not bribes, to encourage positive behavior. For example, you can say, “you have earned an ice cream tonight because you did your homework without any reminders”. Ask the child if they want you to talk to the teacher about a problem that they are facing. Let them feel and understand that you are available for them when they face a problem in school. Encourage them by asking what they like doing in the school. Help them with their homework, and make it more interesting. The professional will look into the physical and mental health of the child before recommending medications, special therapy or counseling. Under what circumstances could the child’s behavior become out of control? Sometimes, abnormal behavior could be a symptom of a behavioral disorder that needs the attention of a medical practitioner. We have listed out some of the common behavioral disorders in children. Gets angry, throws tantrums, outbursts frequently, and has low or no self-esteem. Blames others for all misdeeds. Children who have CD are known for their delinquent behavior and not obeying rules. About 5% American children, who are below ten years of age, have CD. Refusing to follow the rules laid by parents or school authorities. Trying abusive substances like alcohol, cigarettes, and drugs at a very early age. Aggressive towards animals and pets. Indulging in criminal acts like committing burglary, lighting up property and breaking into houses. Disoriented when you speak to them. Difficulty remembering things, instructions, directions, etc. There are different kinds of learning disabilities with varying symptoms. These disorders affect the child’s academic performance and need the expertise of special educators to stay on track. A child suffering from this disorder may become indifferent to other’s problem. This disorder may aggravate in later stages of life and result in illegal and non-ethical activities of the individuals. This may sometimes be referred to as Asperger’s syndrome, which is a narrow developmental disorder. Named after an Austrian pediatrician Hans Asperger, this syndrome is usually a result of social interaction impairment. The exact cause of this syndrome is unknown. However, psychiatrists consider it as a consequence of a series of symptoms. The common symptom of this disorder is difficulty in starting a conversation in public and casual interactions. Child behavior disorders become more visible as he grows up. However, you can identify abnormal behaviors when your child is still a toddler. It helps you to nip them in the bud. Misbehaving toddlers can be a handful. Reasoning won’t work with them, and punishment will only make their behavior worse. So what do you do? Keep reading to know about common behavior issues at preschool age and how you can help them. Little children tend to get excited quickly and cannot control their urge to say what they want to say. They keep interrupting you all the time. So the next time you have a conversation with your three-year-old, here is what you should do. Let them finish what they want to say. Hear them out without interruption and then begin talking. Toddlers, especially those younger than three years, cannot express themselves verbally. They tend to show their anger or frustration in different ways, including screaming. So, what do you do when your toddler screams? Do not scream or shout back at them. It only reiterates that it is okay to scream. Teach them to whisper or talk calmly, through a game. For instance, you can start with a ‘let’s see who can scream the loudest’, and then try ‘who can talk calmly or whisper’. Acknowledge her feelings and talk to her. Although you may not have a proper conversation with a one-year-old, words can soothe the child, and they might stop screaming. Keeping an eye on the child’s movements. Always hold her hand when on the road or other crowded places. Showing the child where she can run and where she cannot. Explain by showing people around and what they are doing. For example, show kids running in the park to say that it is okay to run there. Likewise, show how people do not run on the streets. Toddlers may tend to scream, kick and pull hair to fix ‘bad things’. The only way to make them stop such behavior is to make them understand that it does not work. Interrupt your child when he is pulling his or someone else’s hair to indicate that he should not be doing it. Talk it out and try to explain that it is ‘bad’ to pull hair. Do not pull your child’s hair back to show how it feels. They may see it as a game and do it again. Children between the age of 18 months and three years are the ones who usually throw things to show their frustration. They tend to throw food, toys, or anything that they can get their hands on just out of curiosity or frustration. To avoid damage to valuables, show what your child can throw. Like a ball, a bouncy toy or a fluffy one that doesn’t get damaged. Discourage them from throwing things when they are angry or aggressive. Try to ignore when they throw things because of anger. If they persist or keep throwing things that could hurt other children, interrupt immediately and say “No! That is bad” or “No, that hurts!” Tell that in a calm voice. Find ways to prevent them from throwing things. For example, in the car, you can tie the toys to her seat. That way she won’t be able to throw them away. 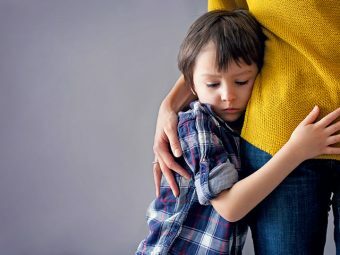 If you could identify any of the above behavioral problems in your toddlers and older children, you might need some tips to deal with them at home. If you have asked yourself that question, you are not alone. 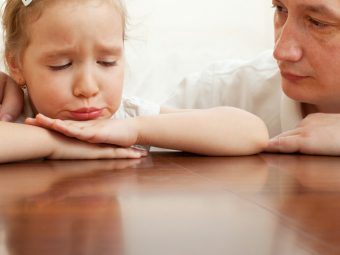 Misbehaving children can make parenting stressful. 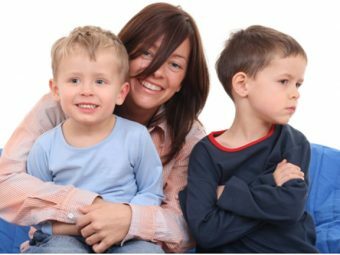 We have put together a few tips and tricks that can help you handle bad or disruptive behavior in children. Don’t react. When you react or respond to your child’s bad behavior, you are encouraging her. Stay positive. When you consider your child as a problem, you cannot find effective ways to deal with his behavior. Focus on rectifying the behavior. Be consistent in your reaction or responses to your child’s behavior. More importantly, be consistent in the consequences to drive the point home. Give the same responses to their conduct, and eventually, they will get it. That said, it is okay to change the rules sometimes, to change old habits that may have gotten out of hand. For example, cutting down TV time, video game time or other activities for the child’s benefit is okay. Be a role model. Change your bad behavior to change your kids’ behavior. Children of all ages learn by observation and imitate you because they assume that their parents know the best. Disciplining is necessary, but is effective only when it is valid. You need to think well before determining the consequences for your children’s misbehavior. Relax. Don’t worry too much about the usual yelling, arguments, and defiance. It does not hurt to chill out once in a while and take a break from disciplining. Use child behavior chart or reward charts to track your child’s behavior patterns. You can create one for a specific behavior or multiple behaviors. You can also have a good manners chart that has details like “said thank you and please”, “helped mom with chores”, “waited for my turn to speak” etc. A highly effective way to deal with behavior problems in children, especially toddlers is through activities. There are several activities you can try and here are a few that we think will be most helpful to you. Exercise or physical activities are perhaps the best means to blow steam off. When your child gets excited or angry, getting them to play outside can help relieve them of the energy. If a child’s energy is not properly released, they tend to release it in the ways they know – tantrums, destructive behavior, acting out, etc. 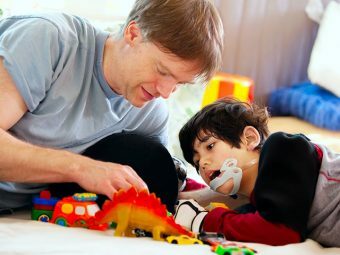 Role-playing is an excellent activity that can teach your kids to control impulses. One of the major factors affecting kids behavior is the lack of self-control. Ask your child to read aloud a book or what they are writing. You can try this at bedtime when they are still full of energy and need an activity to calm down and relax. Storytelling is yet another activity that engages their imagination and lets them use their energy in a positive way. This activity also helps you get an insight into their frame of mind. Play good behavior games and read child behavior books that can teach kids about good deeds such as kindness, sharing, waiting and saying nice things to each other. When they learn that the good things can be rewarding, they won’t try the bad ones. Random misbehavior is the right of a child. Do not try to clamp down on it with your disciplinary ways. However, if you see consistent and severe behavior problems in your child, then you need to take appropriate action. And if you think that the situation is out of your hands, do not hesitate to approach a child behavior specialist, therapist or a counselor. Remember, before you label your child as bad, try understanding the child’s behavior to determine the root cause. With the right approach and professional help behavioral issues in children can be fixed. After all, you want your child to grow into a loving, kind, intelligent and reasonable person, right? Do you have any tricks up your sleeve for handling child behavior issues? Tell us about it here.